One day after the Super Bowl you were probably expecting to see Peyton Manning, Russell Wilson, or maybe even Marshawn Lynch‘s name here. 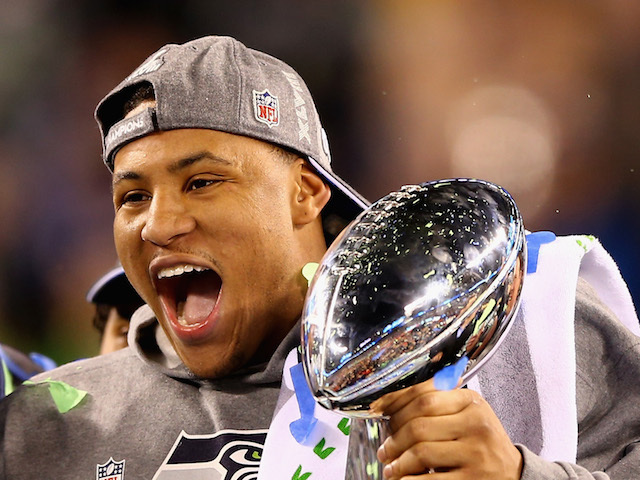 Rather, it’s Malcolm Smith who receives the honors, as his fumble recovery, interception for a touchdown, and 10 tackles were a key factor in the Seattle Seahawks’ 43-8 blowout victory over the Denver Broncos at Super Bowl XLVIII. And in addition to earning him MVP honors, Smith’s numbers also earn him “The Stat Line of the Night” for Sunday, February 2, 2014.